Britain's Liberal Democrats become the first UK political party to formally embrace marijuana legalization, a bill to recriminalize public pot smoking in Maryland advances, a Seattle task force is taking a serious look at supervised injection facilities, and more. 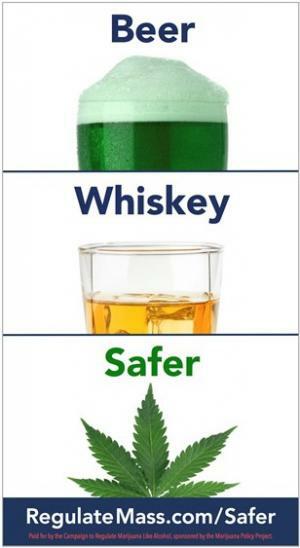 Massachusetts legalizers roll out a St. Patrick's Day-themed ad. Maryland House Panel Okays Making Public Pot Smoking a Crime. The House Judiciary Committee has approved a bill to make it a misdemeanor punishable by a $500 fine to use marijuana in public places. That measure is House Bill 777. The committee also killed a proposed amendment to the state Constitution that would have made marijuana use a right. Massachusetts Hospital Association Opposes Legalization. The association's board of directors voted unanimously against legalizing marijuana, citing public health and safety concerns. Top elected officials of both parties, including Gov. Charlie Baker (R), Attorney General Maura Healey (D), and Boston Mayor Marty Walsh (D) have also come out against legalization. Alabama CBD Cannabis Oil Bill to Get Hearing Wednesday. "Leni's Law," House Bill 61, will get a hearing in the House Judiciary Committee. The bill would allow for the use of CBD under a physician's care for the treatment of debilitating medical conditions. Two years ago, the legislature passed a CBD bill, but it didn't allow for any use outside of a University of Alabama study. Michigan Dispensary Raids Spark Protests. Nearly a hundred people took to the streets outside the Michigan State Police Gaylord Post Sunday to protest raids against 10 Oswego County dispensaries two days earlier. The Straits Area Narcotic Enforcement (SANE) team led the raids, which were the second such law enforcement assault on patient access in the area in the past year. Nebraska Medical Marijuana Political Party Formed. Cornhusker activists tired of waiting for the legislature to act have formed a political party, Legal Marijuana Now Nebraska, and are preparing a signature drive to put medical marijuana to the voters. The will need to gather 6,500 valid voter signatures by August 1 to qualify for the November ballot. Seattle Eyes Supervised Injection Facility. The newly-formed Seattle-King County heroin task force is look at a safe injection site as one way of addressing heroin use in the area. King County Sheriff John Urquhart said he is "keeping an open mind." British Liberal Democrats Formally Adopt Marijuana Legalization Platform. During its spring conference over the weekend, the Liberal Democratic Party formally adopted marijuana legalization and a regulated marijuana market. The party envisions single-purpose stores to sell marijuana. The Lib Dems become the first political party in Britain to embrace legalization. The Colombian Defense Minister, Luis Carlos Villegas, said last Friday that the government is concerned over an increase in coca crops. Villegas conceded that there was a 40% increase between 2013 and 2014, and that there was another significant increase between 2014 and 2015. He blamed the increased profitability of the drug trade thanks to a Colombian currency devaluation, and he blamed the FARC for encouraging peasants to grow coca in the hopes of receiving development aid down the road. The Supreme Court will decide if the case against Colorado can go forward, Ohio pot legalizers call it quits for now, Detroit dispensaries are facing a crackdown, a New Jersey bill would criminalize pregnant women who use drugs, and more. Supreme Court Hears Case Against Colorado Legalization Today. The nation's highest court is deciding whether to take up a challenge against the state's legal marijuana law from neighboring Nebraska and Oklahoma. The death of Justice Antonin Scalia last weekend could alter the balance. If the court splits conservative vs. liberal, that would mean a 4-4 vote on the case. In regular cases that would mean that lower court rulings would hold. But the Supreme Court has "original jurisdiction" when states sue each other, meaning that there are no lower court rulings, raising the question of what would happen next. Ohio Legalization Initiative Campaign Calls It Quits. The group, Legalize Ohio 2016, says it has put its signature gathering drive on hold because it doesn't have any money. The group's political action committee, Ohioans to End Prohibition, had only $268 in the bank. The group has some 80,000 signatures, but needs more than 300,000 valid voter signatures to qualify for the ballot. It says it will instead concentrate on supporting the Marijuana Policy Project's medical marijuana initiative. Detroit Dispensary Boom Faces Looming Crackdown. The Motor City is now home to more than 200 dispensaries, but an ordinance that goes into effect March 1 is likely to put some of them out of business. The new ordinance insists that dispensaries must be at least a thousand feet from schools, parks, churches, libraries, and other dispensaries, and an unknown number are not going to be in compliance. Don't expect immediate raids, though; dispensary owners will have a chance to apply for licenses, and police said they would give dispensaries some time to comply before moving against them. Justice Department Inspector General Rips DEA Over Evidence Handling Procedures. The DEA isn't properly documenting, tracking, and relocating the drugs it seizes, compromising the security of the drugs and undermining their usefulness as evidence in court, the inspector general said in findings released Thursday. In nearly one out of every 10 cases, DEA could not even find the tracking documents that are supposed to account for the drugs. "Gaps in the formal documentation of the chain of custody for drug exhibits can compromise the security of the drugs and jeopardize the government's ability to use the evidence in court proceedings," the IG said. The IG also found that more than half of all seizures, DEA forms did not list the amount of drugs seized, making it impossible to know if they had been tampered with. 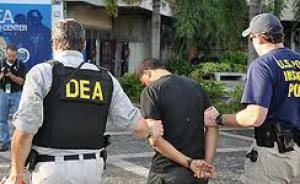 The inspector general made nine recommendations in total to improve the oversight of DEA drug seizures, all of which the agency agreed to address. New Jersey Bill Would Criminalize Drug Use By Pregnant Women. A trio of Democratic Assembly members have introduced Assembly Bill 774, which would make using drug while pregnant a felony crime. Advocates for pregnant women called the bill "blatantly discriminatory" and said it will deter pregnant women from seeking prenatal care and drug treatment. They also said it was aimed at poor women. 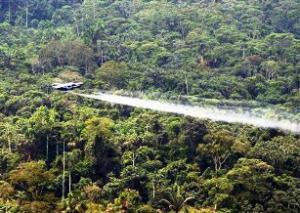 Report Criticizes Use of Private Contractors in Colombia Aerial Coca Fumigation. A new report from the United Kingdom's Swansea University analyzes the role of private contractors and finds their primary benefit to the governments involved -- Colombia and the US -- are "secrecy and lack of accountability." "The ineffective policy is of dubious legality, causes damage to people and the environment, and would, if carried out by US military forces, imply the direct involvement of the US in Colombia's civil war, thereby triggering the application of international law as it applies to armed conflict," the report found. Still, aerial fumigation achieved "strategic objectives" of the two governments by displacing rural populations from areas of insurgent influence. The Kansas Supreme Court throws out Wichita's voter-approved "decrim" ordinance on a technicality, GOP committee chairs quash medical marijuana bills in Indiana, the DEA partnered with a TSA screener in a bid to seize cash from travelers, the Argentines want to shoot down drug planes, and more. Key Vermont Politico Says No To Home Growing Marijuana. Senate Judiciary Committee Chairman Richard Sears (D-Bennington) said today he would advance a marijuana legalization bill if it has majority support in his committee, but that he does not support home cultivation. Kansas Supreme Court Throws Out Wichita "Decrim" on a Technicality. The state's high court ruled that the initiative was invalid because it was improperly filed with the city clerk, but did not address arguments by the state that the ordinance conflicted with state marijuana laws. The Wichita ordinance lessened penalties for first offense possession to a $50 fine, but was not true decriminalization because that first offense would still be a criminal infraction. Indiana Medical Marijuana Bills Pronounced Dead. State Sen. Jean Leising (R-Oldenburg) said Thursday that medical marijuana bills in the state legislature would not got a hearing this year. "They are all dead," she said. "There just isn't the appetite in the Senate for approving any kind of medical marijuana, not with the current makeup of the (50-member) Senate. You need 26 votes, and they're just not there." Parents of children suffering from epilepsy had pleaded with lawmakers to act, to no avail. Utah Governor Signals Support for Medical Marijuana. Gov. Bob Herbert (R) said Thursday that he is not familiar with two medical marijuana bills filed this session and that he doesn't want a "Dr. Feelgood" situation, but "if there's a medicine out there that will alleviate pain and conditions and health concerns for people, if there's a medicine out there that can do that, we ought to see if we can embrace it." He added that he would prefer that Congress legalize it federally rather than leaving it up to the states to act. 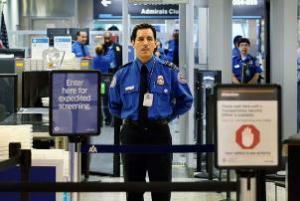 DEA Hired TSA Informant to Help Steal Money From Travelers' Luggage. The agency recruited a TSA security screener to alert agents to cash in luggage that the DEA could confiscate, an arrangement that "violated DEA policy," according to the Justice Department's Office of the Inspector General. The agency planned to pay the screener a cut of the cash he seized, but the Inspector General found that the screener never actually provided any actionable intelligence for seizures. Still, the DEA scheme "could have violated individuals' protection against unreasonable searches and seizures if it led to a subsequent DEA enforcement action," the OIG noted. Argentina Approves Shooting Down Suspected Drug Planes. The new government of President Mauricio Macri continues to burnish its drug warrior credentials by announcing plans to begin shooting down suspected drug trafficking planes, a move the opposition called "the death penalty without trial." Macri has already decreed a "public security emergency" for a year to fight drug trafficking, which he said had led to "situation of collective danger." Last century's international prohibitionist consensus on drug policy continued to crumble this year, with moves to relax controls on medical and personal use of marijuana leading the way. But harm reduction measures such as supervised injection sites are also on the rise, international civil society and even some governments are laying the groundwork for reforming the global drug control regime next year at the UN, America's most stalwart drug war ally in South America changes its tune, and more. Canada Elects a Marijuana-Legalizing Prime Minister. We may have a handful of legal pot states, but Canada is about to become the first country in North America to free the weed. Newly elected Liberal Prime Minister Justin Trudeau made marijuana legalization a central plank of his election campaign, and this month, he immediately ordered his new Justice Minister to get on it after winning the election. 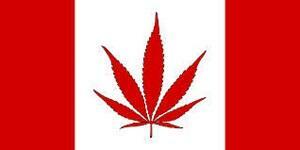 In the annual throne speech last week, his government reiterated its intention to legalize it. It won't happen overnight, but it's coming. 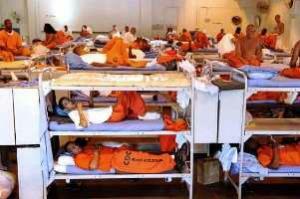 The US is No Longer the Bogeyman of International Drug Reform. It's not like 2001, when Jamaican decriminalization got put on the back burner after thunderous protests from the US embassy, or even 2009, early in the Obama administration, when more muffled protests from the US helped put the kibosh on drug decriminalization in Mexico. It's more difficult for Washington to criticize other countries when the Obama administration has signaled it can live with legal marijuana in US states, but the administration seems less inclined to do so, anyway. Last year, William Brownfield, head of the State Department's Bureau of International Narcotics and Law Enforcement Affairs enunciated a policy of tolerance toward reform efforts abroad, and the State Department reiterated that again this year. It's not all roses, though; the prohibitionist beast may be weakening, but its tail still twitches. Laying the Groundwork for UNGASS on Drugs. The UN General Assembly Special Session (UNGASS) on Drugs is coming next spring, and the international drug reform movement was busy preparing for it this year. In May, during the High Level Thematic Debate on drugs, reform groups released an open letter calling on the UN to respect countries' drug policy reforms, and in June, while the UNODC marked global anti-drug day, global civil society fought back with events and demonstrations around the globe. Then, in October, Sir Richard Branson provoked a kerfluffle by leaking a UNODC draft document that urged governments to consider drug decriminalization, forcing the agency to walk it back under pressure from at least one country. At year's end, the European Parliamentary Council called for a public health-oriented global drug policy. A lot more has been going on behind the scenes, too, but drug reform at the UN moves at a glacial pace. Stay tuned. 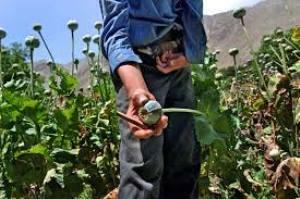 Afghan Opium Production Declines. For the first time since 2009, opium production has decreased in Afghanistan, the UNODC reported. The area under cultivation declined by 19% from last year -- an all-time high -- and production declined even more, by 48%. UNODC attributed the decline to drought conditions. "The low (overall) production can be attributed to a reduction in area under cultivation, but more importantly to a drop in opium yield per hectare," said the report, which was released last week. "The lack (of) sufficient water for irrigation... affected the decision of some farmers not to cultivate poppy." 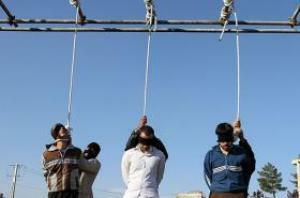 Iran Drug Death Penalty Mania Shows First Signs of Receding. Iran has executed hundreds of people for drug offenses this year, but a campaign to end European and UN funding of Iran's drug war has been picking up steam. Some European countries, including Denmark, Great Britain, and Ireland have stopped funding, and in October, the UN special rapporteur on Iran warned that it was using UN support to justify its aggressive use of the death penalty. But that didn't stop the UN Office on Drugs and Crime from this month increasing funding for Iranian anti-drug operations. While the struggle continues on the international front, this month, Iranian parliamentarians themselves expressed discomfort with the death toll. At least 70 are supporting an effort to end the death penalty in nonviolent drug smuggling cases. Lawmakers are now preparing a bill to present to the parliament. 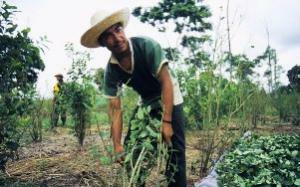 Columbia Stops Aerial Spraying of Herbicide on Coca Fields, Farmers. With US backing and encouragement, the Colombian government sprayed the herbicide glyphosate on coca crops for years despite peasant protests that it was causing illness and damaging other crops and livestock. But in April, after a World Health Organization report reclassified the herbicide as "probably carcinogenic to humans," the health ministry called for the suspension of spraying. The following month, Colombia ended the program despite US pressure to continue it. Then, in September, President Juan Manuel Santos deepened the departure from two decades of US-style drug policies, unveiling a new national drug strategy that will emphasize alternative development. Mexico Marijuana Moves. In a country where public opinion does not favor legalization, the Supreme Court stunned the nation in November by ruling that people have the right to grow and use marijuana. The decision does not undo Mexico's marijuana laws, but does open the door for a wave of legal actions that could end in their being rewritten. It also opened the door for a national debate on marijuana policy, with President Enrique Pena Nieto promising it will occur early next year. Medical Marijuana Advances. More countries okayed the use of medical marijuana in 2015, including Australia, Croatia, and, just this week, Colombia. Meanwhile, Chile harvested its first medical marijuana crop in April, the Italian Army began growing it in May (to address shortages within the country), and the Dalai Lama endorsed it in June. That same month, Costa Rica outlined requirements for a pending medical marijuana bill, and in July, Israel announced it would make it available in pharmacies and allow more doctors to prescribe it. Jamaica Decriminalizes Ganja. In February, parliament voted to approve a government-supported decriminalization bill, and the law went into effect in April. Now, anyone, including foreign tourists, can now possess up to two ounces of ganja and face only a $5 fine. And any household can now grow up to five plants. 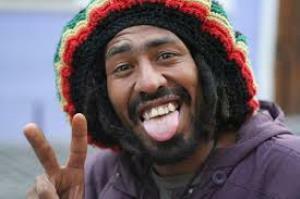 Adult Rastafarians can also now use the herb for religious purposes. The law also paved the way for a regulatory authority for medical, scientific, and therapeutic uses. In July, Justice Minister Mark Golding signed an order to expunge minor marijuana convictions, and by December, the government had granted its second "marijuana exemption" allowing Rastafarians at a festival to partake of (and possess and transport) Jah Herb without fear of arrest. Supervised Injection Sites Expand. The harm reduction measure allows drug users to ingest their drugs under medical supervision and without fear of arrest and has been proven to improve outcomes for users and the community without increasing crime or other negatives and without fear of arrest. At the beginning of the year, there were supervised injection sites in eight countries -- Australia, Canada, Germany, Holland, Luxembourg, Norway, Spain, and Switzerland. By year's end, two more countries got them up and running, France in the spring and Slovenia in the fall. Late in the year, Ireland approved a supervised injection site in Dublin. Meanwhile, in the US, the Drug Policy Alliance and other advocates are mounting a campaign to open one in New York City, which would be the first (official) one in the country. No pot tourism district for Portland, at least for now; New Jersey gets a fifth dispensary, Croatia legalizes medical marijuana, Afghan opium production fell by nearly half last year, and more. Portland City Council Rejects Marijuana "Green Light District." The city council has rejected a proposal to create a concentration of marijuana businesses in a downtown "Green Light District" as a bid to attract cannabis tourists and to keep shops out of residential areas. The city currently requires a 1,000-foot buffer between pot shops, and the failed move would have lifted that requirement. Mayor Charlie Hales said the measure could be brought up again later. New Jersey Gets Fifth Dispensary Today. The state Health Department said Wednesday it had issued its final permit for Breakwater Treatment and Wellness, a dispensary in Cranston. It opened today. Michigan Appeals Court Throws Out Car Seizure for $20 Worth of Weed. The state Court of Appeals has overturned a lower court decision saying that police in Westland were justified in seizing a woman's vehicle after she was busted with a gram of weed while doing pizza deliveries -- but not because the seizure was on outrage on its face. Instead the court held that because the marijuana was an unanticipated tip from a customer, the car should not have been seized because she hadn't used it with the intent of purchasing drugs. Click on the link for more. UNODC Reports Big Drop in Afghan Opium Production. The UN Office on Drugs and Crime reported Wednesday that Afghan opium production last year declined by nearly half (48%), from 6,400 metric tons to 3,300 metric tons. The decline is the first after years of steady increases in poppy cultivation, and UNODC said it resulted from better cooperation between police and Afghan policymakers, a smaller area under cultivation, and lower yields. 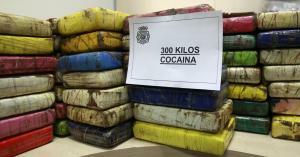 Peru's Air Force Accused of Turning Blind Eye to Cocaine Flights. The Peruvian defense minister announced Wednesday that he would investigate allegations of corruption in the military after the Associated Press reported days earlier that cocaine flights were taking off unimpeded in an "air bridge" to Bolivia that moves a ton of cocaine a day. The air bridge is from the VRAEM -- the Valleys of the Apurimac, Ene and Mantaro Rivers -- in south-central Peru, now the country's leading coca and cocaine producing area. The Peruvian government in August approved shooting down suspected drug planes. Croatia Approves Medical Marijuana. The Croatian government has approved the use of medical marijuana for people suffering from multiple sclerosis, cancer, epilepsy, and AIDS. The marijuana will be distributed through pharmaceutical companies, and patients will be limited to 0.75 grams of pure THC per month. Home cultivation will not be allowed. Another month, another marijuana sales record in Colorado; Toledo votes on ending marijuana possession penalties today; Missouri activists eye a medical marijuana initiative, and more. Colorado Sets Another Marijuana Sales Record. More than $96 million worth of marijuana was sold in the state's legal marijuana and medical marijuana shops in July, up from the previous record of $85 million in June. Recreational sales were a record $56.4 million, while medical sales were more than $39.8 million. Both figures are records for the legal marijuana era. Toledo Votes Today on Ending Marijuana Possession Penalties. 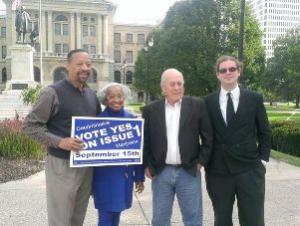 Voters there will have the chance to approve Issue 1, the "Sensible Marijuana Ordinance" supported by Sensible Toledo. The ordinance would eliminate jail time and fines for possession of up to 200 grams of marijuana. Current municipal ordinances make possession of up to 100 grams a misdemeanor punishable by a fine and possession of up to 200 grams a misdemeanor punishable by up to 30 days in jail. Under Ohio state law, possession of up to 100 grams is decriminalized. Missouri Activists Aim at 2016 Medical Marijuana Initiative Instead of Legalization. The activist group Show Me Cannabis has announced it will try to put a medical marijuana initiative -- not a legalization initiative -- on the November 2016 ballot. They will need to come up with 160,000 valid voter signatures by next May to do it. Las Vegas Dispensary Forced to Close Over Shortages After Test Samples Come Up Dirty. The only dispensary in the city, Euphoria Wellness, was forced to close its doors for almost a week after it ran short on marijuana because too many batches failed state-required contamination tests. The state basically allows no pesticides to be present, and about one-third of samples have failed, mostly over the presence of pesticides, but some for microbial contamination. The dispensary planned to reopen today. Wisconsin GOP Lawmakers File Search Warrant, SWAT Bills. A pair of Republican state lawmakers, Rep. Dean Knudson and Sen. Duey Stroebel, announced today that they have introduced bills that would require police to develop policies for executing no-knock search warrants and require every police department with a SWAT team to report on each call-out and reason for deployment. The bills aren't yet up on the legislative website. Bolivian President Rejects US Criticism, Calls US Drug Policy "Failed." President Evo Morales rejected the US claim that it had failed to live up to its drug control obligations, saying that the major failure of drug control was the US's war on drugs policy. "I think this [the US designation of Bolivia as not in compliance with anti-drug goals] is a political action by the US State Department. But if we are sincere, the policy of the US is a failure in the fight to control the drug traffic," Morales said. "I could talk of many countries of the world where there is this problem and how it has grown with the presence of the United States. This makes us think that, in truth, they use the struggle against the drug trade for political ends."